To understand the flavours of Iberian ham and although it may seem somewhat strange, the first thing we should ask is what is Iberian ham? On the one hand, to understand its exclusive origin due to its breed, but on the other hand to know its great diversity in terms of feed. Thus, to define it, we will say that it is the ham coming from pigs of Iberian breed. Also, for it to be considered Iberian ham must have a minimum of 50% purity of Iberian breed and this is usually determined by the mother. In general, we distinguish the extremities of the Iberian pig from the one that is not because its form is more stylized and usually, they have more external fat and of course the flavour of its ham is in general stronger and more lasting in mouth that the one of the Serrano. Yet, the Iberian ham is not an exact science and, in the end, will have the flavour, aromas and nuances that each ham expert or "cook" as we call them in Enrique Tomás has decided it has to have. The cook puts his personal touch and together with the climatic conditions and the quality of the ham lots and the feeding of the Iberian pig, the ham will have its own flavour. Now we are going to explain to you how the Aromatic Flavour is, find out all about this taste, so elegant and characteristic! At Enrique Tomás, we love good ham and its flavours, because there is one for everyone. And as it happens with colours, in tastes there is no one better than another, but our favourite or preferred. If you like the ham to awaken your senses as soon as you smell it, and fill your palate as soon as it touches your tongue, your flavour is without a doubt the Aromatic one. What a great little bite! The Aromatic Flavour of our Iberian cured meats originate from Iberian pigs raised entirely in our Iberian Peninsula. This flavour is incredible because of its double character and because it only happens with this ham. On the one hand, it has a strong personality and you will notice it just when touching your palate, but on the other hand, once ingested, your tongue will be clean of any trace of fat or salt. All in all, an ideal flavour for demanding but sensitive palates - a whim for the mouth! It is said that an aroma can awaken memories, influence our mood. Imagine that moment of happiness when you came home from school and your mother had already prepared the ham sandwich for you to have a snack, just the way you liked it and smelled it when you walked through the door, or your favourite dish prepared by your grandmother with the affection that nobody better than grandmothers knows how to give. The Aromatic Flavour with Enrique Tomás will make you remember all those memories as something very yours and will create new ones that you will never forget. 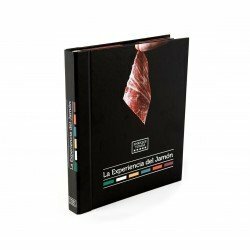 A pleasure like this could only be achieved with a product of exceptional quality which, thanks to the climate, the chefs' recipe and its perfect curing method, becomes one of the best options for those who are passionate about ham. In our shops you can find it both in hams and cured meats such as the “lomo” and ham shoulders, all of course of Iberian breed. 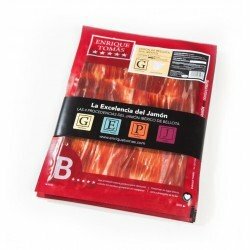 In various formats such as sachets of sliced meats per unit, packs “ready-to-eat” to take away, boneless pieces, and much more always distinguished with the blue label. If you don't have time to go to the store you trust, don't worry! 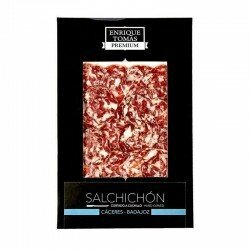 Enrique Tomás through his online store, takes your order home or to work so you can enjoy the best aroma in jamón.